The 17-member committee is co-chaired by Dr. Jonathan Lunine, a professor of physical sciences at Cornell University, and William Perry, a Stanford University professor who served as defense secretary under President Bill Clinton. Other members of the committee include former NASA astronaut Bryan D. O’Connor, Houston-based consultant Mary Lynne Dittmar, and Spacehack.org Founder Ariel Waldman. The list seems rather short on representatives from the “NewSpace” community. A full list of committee members with biographies is reproduced after the break. Congress ordered NASA‘s Office of Inspector General to conduct the review as part of NASA’s 2010 Authorization Act. The inspector general, which is the space agency’s internal watchdog, commissioned the NRC to conduct the study. 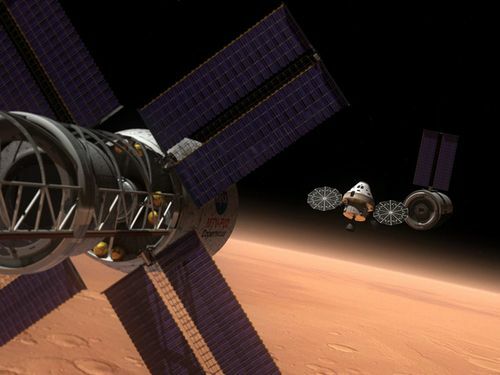 Read more: NRC Appoints Space Program Review Committee | Parabolic Arc.